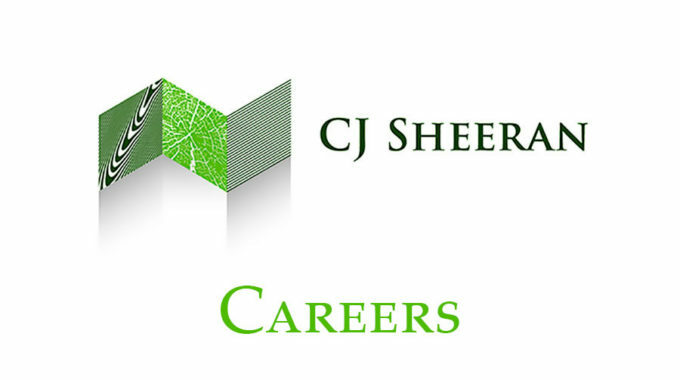 The Role: CJ SHEERAN is a leading manufacturer of garden, farm and equine timber products which include premium quality timber gates, fencing, garden furniture, landscape woodmulch and the very popular ComfyBed® Equine Bedding. CJS have established an extensive network of resellers throughout Ireland and now wish to recruit a Business Development Executive to generate new opportunities while developing existing business. Experience in the target market advantageous i.e. Builders Merchants, Home & Garden Multiples, Agri-Business etc. An excellent opportunity to join a progressive and dynamic company undergoing exceptional growth. CJS is primarily renowned as Ireland’s largest manufacturer and recycler of timber packaging and pallets, providing a premium quality, sustainable and accredited packaging solution to Ireland and the UK’s diverse network of pallet consumers. CJS maintains ISO9001, ISO14001, OHSAS18001, FSC® and Sedex accreditations.